Windsor First Aid provides all of the available first aid courses available through St Mark James. 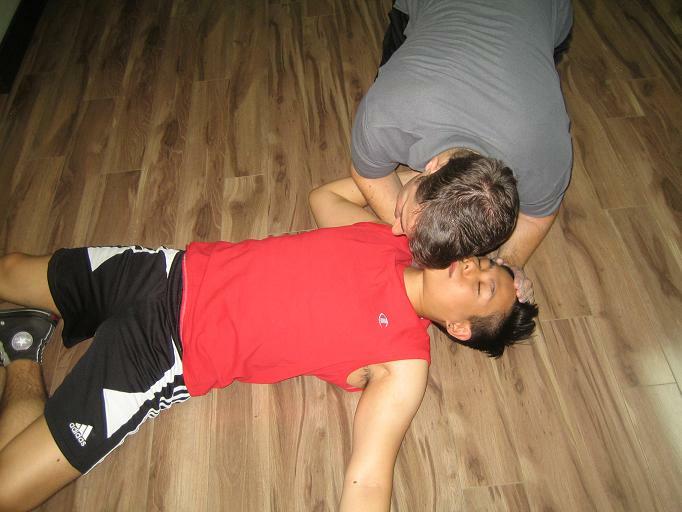 Every first aid course provided includes training and certification in a level of cardiopulmonary resuscitation (CPR). Most of the major first aid courses allow candidates the opportunity to select the level of CPR training. All of these first aid courses are offered a number of times throughout the week at conveniently located training centers. Registration is can be completed either on-line (the most popular method), through the phone or via email. This page will outline the different first aid courses available through this workplace approved provider and offered by us in Windsor, Ontario. This course is a comprehensive 16 hour St Mark James course that incorporates a number of CPR and first aid topics. This course is normally completed within two 7 to 8 hour classroom days, however, we do have many class date, time and location options. This class comes with CPR level “C” and AED training, however, participants have the option of registering with CPR level “HCP” for a small additional cost. View our standard first aid course page for more details or to register. This St Mark James course is a 8 hour course that teaches participants basic first aid and CPR skills. CPR level “A” and AED training is incorporated into the course. Customers do have the option of registering for a higher level of CPR training (CPR level “C”), for a small additional fee. For more information about this basic first aid and CPR course visit our emergency first aid page. Childcare first aid is only offered through St Mark James training providers such as Windsor First Aid. This course only comes with CPR level “B” and AED training. No other level of CPR training is featured with this course. This course is a detailed first aid and CPR course designed for participants that work in or want to work in the childcare industry. For more information or registration visit our childcare first aid page. For more information about any of our first aid or CPR courses visit the course page listed above or in the menu to be directed to a page devoted to that course.